The I-League has gifted us many footballers who have made the competition more special than ever before. With Chennai City FC just a win away from claiming their maiden I-League title, other teams have also given them a tough fight. East Bengal and Real Kashmir FC have also been excellent throughout, even though they might fall short. A lot of footballers have become household names during the course of the ongoing season. While some have re-established themselves on the big stage, others rose into prominence for the first time. It was expected that the foreigners will hog the majority of the spotlight, but some of them disappointed, while others flourished. Among the Indians, it is the youngsters who were determined to prove themselves, have actually done so. 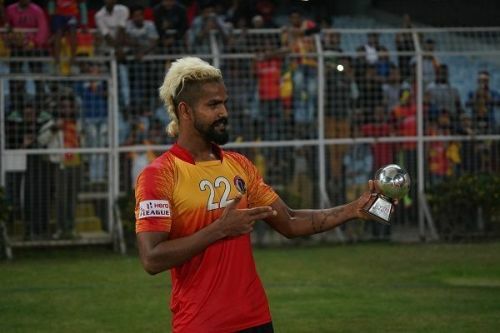 Even though a lot of domestic talents have shifted towards the cash-rich Indian Super League, there have still been abundant talents who impressed in the 2018-19 I-League season. 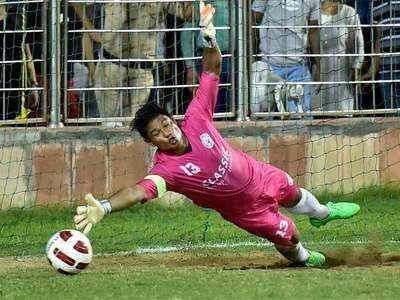 The veteran goalkeeper has been a stalwart for NEROCA FC this season, coming into the rescue on several occasions. Although he did not feature in the first five rounds for the team, he was a regular from the sixth one. Using his experience to the optimum level, Lalit has been the most effective footballer under the sticks in the I-League, which makes him an obvious choice in this list.